What goodness can a bowl of spinach give you? Spinach: A Powerhouse of Energy, Antioxidants, and Memory Boosters! Long time back, when Popeye chomped in a can of green spinach, we took that old chap for granted! Now, so many years, the researchers decided to check out the truth in this green delicacy. 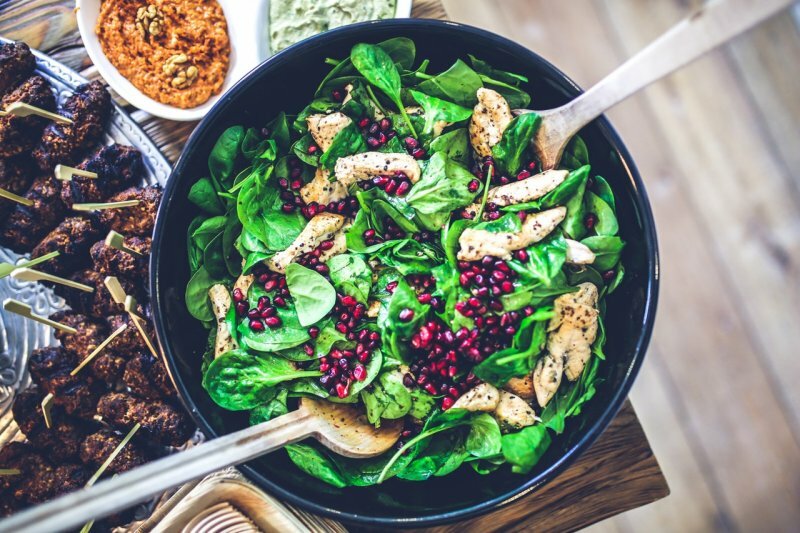 Here, I am going to share the benefits of spinach and seriously, once you read it- you will want to infuse this into your daily diet. I know many people reading this, do not like the taste of this vegetable. Instead, you go by very much hyped medical industry and gobble in the tons of medicines they give you. Surely, if you have bothered to read about spinach, then might as well search out the cons of consuming allopathic medicines. 7 Low Calorie Foods that you must have! Yeah, I know many diseases – do need the assistance of allopathic medicines, But there is another side to this story too. If you do have detox rich food on a daily basis, and then you do not have to worry about diseases and allergies. A lot of such menaces, can be done away with a balanced diet, and this means some real good nutritious wholesome food. If you do not like spinach, I have few recipes down the line. Just keep reading and they will come by! If you need to get the full goodness of spinach, researchers say it must be consumed in the raw form. The researchers at the Linkoping University , advice people that when a bowl of spinach is juiced up in the form of a simple juice or a protein rich smoothie, that will help the body absorb a new type of antioxidant named the Lutein. This antioxidant can be readily got in the raw form of green leafy vegetables and spinach happens to top the list. Lutein is a natural fat soluble pigment and can reduce the inflammation within the arteries of the human body. When cold and uncooked, spinach contains the most lutein. Once you heat, cook, boil or fry it, the lutein is reduced. So to get full benefit, have it raw! Lutein says, " Reduce Cognitive Ageing"
Among the greens, it is kale and spinach that have been the fav of all fitness freaks. Research at the University of Illinois at Urbana-Champaign found that, if people had a regular diet that consisted of eggs, avocados, kale and also tender spinach, then this would improve their cognitive ability. Lutein is one nutrient that has to be fed to the body. Once it enters the human system, it get stored in the brain. Thus, this is what helps to improve the cognitive ability of a person. The Cognitive ability is one situation whereby the brain can process the thoughts and react according to the needs of the body. So, this is connected with the problem solving ability of the person. So, as the person ages, the brain nerves also get weak. This will slow down the thought process and weaken the person’s ability to perform basic functions in daily life. Got berries and spinach in your refrigerator? Then, time to cook up a meal coz, these are small morsels that can give you a truckload of memory power. The scientists at the American Academy of Neurology did a couple of tests and they felt that colour of the food (meaning natural colours) will supplement to the memory of a person. For this, include dark leafy veggies like kale and spinach, then also have dark red beets and even berries in your diet. They have a super positive effect in men and that helps to improve their memory power. Apart from memory boost, they also get an improved cognitive ability. Go for Popeye’s Energy Booster! This is a rather interesting experiment done by the creative scientists at the American Technion Society and this is what you need to know! They used just one membrane extract from spinach leaves and created a cell. This cell could produce hydrogen and electricity by making use of sunlight. They have hope that this will give a new pathway to develop clean fuels. This goes to show that spinach has immense energy nutrients stored within it. If this is consumed, then it will help a normal human being to get more energy. It is good for the body, as it natural and full of anti-oxidants. The Spinachy Love: Have them raw if you can, or else try some recipes that does not need the green leaf to be cooked much. Easy Recipes for a Quick Spinach Bite! Here you go! There are 4 recipes for you to try. They are quick to make and just keep in mind that you need to consume them immediately. Oh, and these are just signle servings. If you need more, just double it accordingly. A superb recipe to roll into your tortillas, chapatis or even stuff into samosas or puff pastry. A touch of bacon is added here, but if you are not fond of that- just do away with bacon. It is healthy, uses hardly any oil and most of oil- it is yummy! Take a large flat pan, add butter and heat. Once melted, add garlic. As soon as the raw smell disappears, add the bacon and stir fry until cooked. Now, add the rest of ingredients and stir on high heat until spinach has wilted. This is one drink that can help you kick start the day with vigour and good health. Try it. But you cannot make it in advance. It needs to be freshly prepared and enjoyed. Blend all this in a blender. Drink it cool! If you like noodles, then this will be your pick! Or else you can substitute with pasta instead of noodles. You can make it completely vegan or even add morsels of meat or eggs. My recipe cannot do without non- vegetarian – so take a look and try i! Boil water in a bowl, add all the ingredients except noodles and spinach. Once the water has been seasoned to your liking, add noodles and boil until it is half cooked. Pour in egg whites in small quantities and swirl the soup with a fork. Once the egg white firms up, you can take the soup bowl off the heat. These are great to go in tiffins, or for appetizers in small parties. It is healthy and a must try! I have used sweet potatoes here, but you can always the normal potatoes for the same recipe. Mix all the ingredients (except butter) and shape into bars. Heat a flat pan, add a dab of butter and once it melts add butter. Toast each side until browned a bit. See, that wasn’t difficult at all! Was it? Believe me, it will feel so good eating such simple, comfort foods. Try it and get on the healthy track soon!